SACRAMENTO, Calif. /California Newswire/ — Professionals Guild today announced its annual New Year's Eve Party, to be held at the Hilton Hotel, Arden West. Couples are also welcome to attend. The party starts at 8:30 p.m., Tues. Dec. 31, 2013. This Sacramento New Year's 2014 party includes three dance floors, two live bands, the Groove Thang Band and Innersoul band, as well as DJ Nic Javier. Special advance discount tickets for this Sacramento New Year's Eve party are available with the discount code send2press. To get party tickets one may either (1) visit www.PGuild.com or (2) call 800-838-3006 and ask for Professionals Guild New Year's or (3) go in person to the Hilton Hotel Arden West, 2200 Harvard Street, Sacramento, CA 95815. Those booking a room may buy a discounted New Year's Eve hotel package with a hotel room and party tickets by calling 916-922-4700 and pressing 0 for the operator. One may also call 800-445-8667 and mention "secret" discount codes NYE, NYT, or NYD. These codes offer a substantial discount. NYE is for a discounted room; NYT, for a room and tickets; NYD, a room, dinner, and tickets. "This is a huge singles New Year's Eve party. Many eligible bachelors and bachelorettes attend. That's what makes this event different from other New Year's parties," explained Phil Seyer, director of Professionals Guild. "Every hotel in Sacramento throws a New Year's party, But we are the only Sacramento organization that offers something special on New Year's for singles." Seyer added: "New Year's is often a happy time for couples, but not for singles. We change that by helping singles to find each other. Many arrive single, but leave hand-in-hand as a couple. Couples are also welcome on this special evening." "A husband recently told me: 'My wife loves your events because singles know how to party!'" This Sacramento New Year's 2014 party includes three dance floors, two live bands, the Groove Thang Band and Innersoul band, as well as DJ Nic Javier of ItsTimeEntertainment.net. 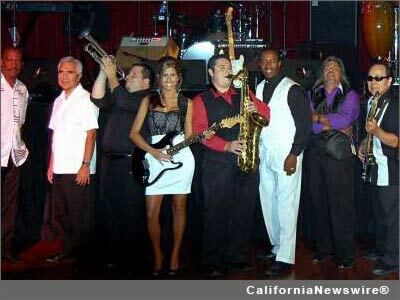 Both the Innersoul band and the Groove Thang band play dance music from the 60's to current songs. The bands and DJs are playing dance music simultaneously in separate ballroom so party goers can move from room to room for a different experience. Everywhere one goes in the hotel, a party is happening and one has access to the entire hotel with one party ticket. Other areas include blackjack and craps gaming, a restaurant, and a 10 by 10 photo booth with a beautiful backdrop managed by De'Boraha of Flash-foto. "De'Boraha has worked our parties for the past 5 years and her photo booth has been a huge success," said Seyer. "She knows how to pose people so they really look their best." Hundreds of De'Boraha's New Year's Eve photos are available for viewing at ProGuildSocial." Guests may take photos and upload them to http://www.ProGuildSocial.com/ – a free online social network. Members of ProGuildSocial then vote online. The winner will get a $50 gift card. Professional people from all walks of life attend this event. "It's a wonderful mix of people of all ages 21 up," said Seyer. Regarding dress, Seyer explained, "Men should take this opportunity to wear their best outfits. The ladies will be dressed up and they appreciate it when men follow suit and men dress nicely. Some men even wear a Tux or a beautiful tie along with a suit or sports coat. Some men like to be less formal and wear a dress shirt and slacks. That's fine, but no casual attire is appropriate for this elegant New Year's Eve party." For more information, call the Professionals Guild at: 925-888-4392. For dinner and room reservations, call the Hilton Hotel at 916-922-4700 and press 0. Professionals Guild is also sponsoring a contest for a free room, dinner and New Year's Eve party at Hilton. To enter the contest, one need only tell others on social media about the party and send an email to ProfessionalsGuild[at]gmail.com with "contest" in the subject line. Contestants are also invited to click the like button at http://www.facebook.com/NewYearsEveSacramento . Professionals Guild is also hosting a New Year's Eve party in the East Bay at the San Ramon Marriott. For more info visit http://www.PGuild.com/ .